Do you ever worry about how much screen time your children are getting? 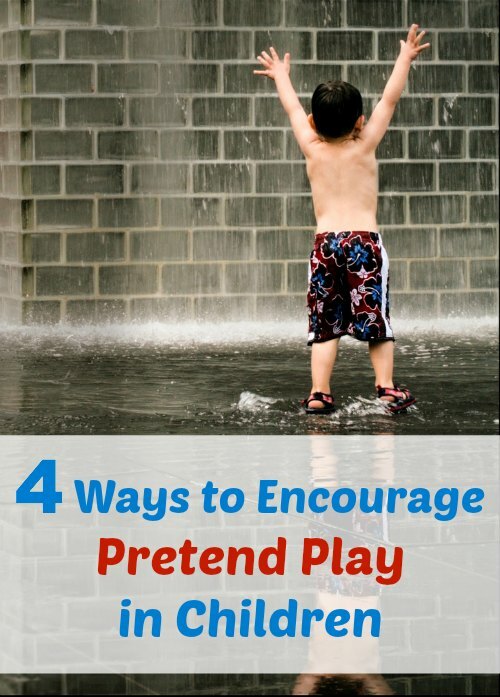 Try these four fun way to encourage pretend play in your own kiddos and watch them blossom! Kids seem to only want to play with video games or on computer tablets. Toddlers know how to operate a smartphone before they know how to use a rattle, or at least it seems. I know my children can get sucked into the technology vortex! With all of this new technology, kids have stopped having the need to play and make believe. But that doesn’t mean they don’t need pretend play to grow and help them figure out the world around them. So what’s a mom to do? Here are four ways to encourage pretend play in children. The first thing parents can do, and one of the easiest ways to encourage pretend play in children, is to take away any electronic device. It does not matter if it uses batteries or is rechargeable. Any electronic device or toy that makes sounds or music should be taken away. Within a short amount of time, kids will naturally revert back to their ‘old school’ toys and learn to play with their imagination once again. I can’t tell you how many times I’ve had whining kids after I’ve told them screen time is done, only to have them miraculously playing with their action figures, creating Lego castles or asking to go outside within minutes. A popular Facebook meme says ‘When I was a child, the ultimate social network was called OUTSIDE’, and in a way, it is true. 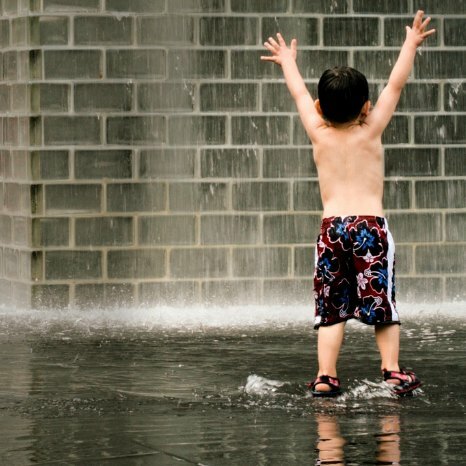 Kids need outdoor play and they also need to interact with children in real life, not just through a computer. Teach your child to play kick the can, have a water balloon fight, make snow angels or just go for a walk. Sticks will soon become swords (or light sabers) and walking paths become race tracks for kids who pretend to be race cars. Charades is a great game for both children and adults and requires a lot of imagination and pretending. The game will need to be made simpler for children and younger kids who may not be able to read. Stick to simple words and actions like ‘dog’ or ‘run’ — things that they can easily act out. Toss out the traditional rules and let kids bark, meow or moo in order to be able to guess their word. Playing pretend is not only good for children, but adults need to remember to take a break from their phones or computers from time to time too. It’s the perfect way to connect with your kids and spend some quality time with them. Find more insightful parenting tips on Mommy Evolution! I’ve never tried the “no toys” one. I like that idea a lot. You’d be surprised how they react. They first think “WHAT?! ?” and then go about as if it’s nothing. I have never tried charade with my kids (ages 5 and 4) but I bet they would love it. Just pinned and stumbled this post.